At last, the art of the Rev. William Hart McNichols is enjoying the treatment it deserves. 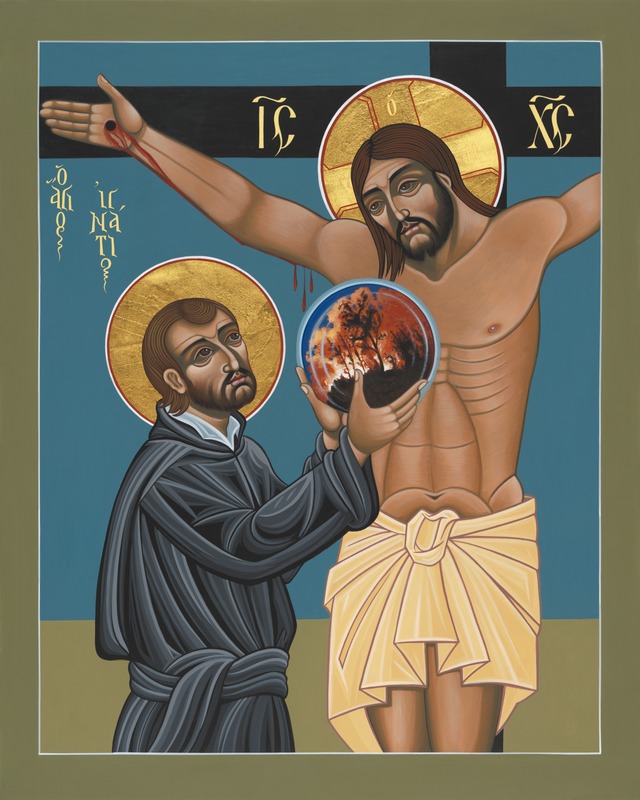 Image to Insight, with its 12 inch x 9 inch pages, displays his iconography in full-page reproductions, along with commentary by John D. Dadosky, professor of theology and philosophy at Regis College at the University of Toronto. Dadosky has spent a good deal of time in New Mexico, where “Father Bill” McNichols lives and works. More than 50 of his striking icons are in glorious display in this book. Dadosky’s remarks offer the stories and backgrounds of the subjects—be they well-known saints or other holy men and women, the Blessed Mother, Christ or a collection of what are simply called “holy images.” Dadosky explains the symbols in the background of each work. His remarks also include some of McNichols’s own explanations of how he came to conceive each icon and the identity of the people or groups who commissioned them. Mirabai Starr, a professor at the University of New Mexico and a long-time friend of McNichols, writes in the book’s introduction: “Religious iconography at its best is an invitation to deepening love. It demands a contemplative stillness, an intentional gazing, and a willingness to be ‘seen’ in return.” This powerful collection will reward every reader who approaches the book with such an attitude. This article also appeared in print, under the headline "Icons: An Invitation to Love," in the Spring Literary Review 2018 issue. Michael Tueth, S.J, professor emeritus at Fordham University, has retired and is living in St. Louis, where he is engaged in writing, conducting retreats, providing spiritual direction and other ministries.